Client Savvy works with professional services firms to create fierce client loyalty. Their team recognizes building a client experience strategy requires alignment with each firm’s unique culture and competitive environment. They enjoy helping their clients look at problems in new ways to help them build and develop great relationships. Since day one a core value of Clearview is focus: focus on the AE market, focus on building and supporting one solution, and focus on helping our clients use our software to run a more profitable business. So it’s fitting Clearview’s flagship product is called InFocus. Having one solution for one market means fantastic software, expert migration, knowledgeable support staff, and frequent updates based on client feedback. Today InFocus is one of the most powerful AE software solutions available and is used everyday by hundreds of firms of all sizes. 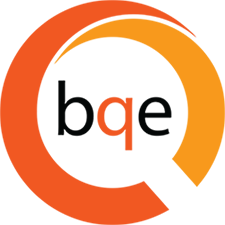 Full Sail Partners provides client-focused technology services and solutions in a collaborative environment. Our firm’s knowledgeable, reliable, and get-real attitude empowers clients to identify the critical resources needed to create a faster, more efficient, and cohesive business infrastructure. This comprehensive approach requires looking beyond the customer’s accounting system and understanding its investments to achieve maximum efficiency. Learn more at http://www.fullsailpartners.com/. MSA is an employee-owned team of engineers, architects, planners, funding experts, surveyors, GIS experts and environmental scientists. Partnering with us means receiving more than just an end product. It means a commitment to building an honest, open relationship that goes beyond the project, providing a trusted source of expertise and support for immediate challenges and long-term goals. Our team has broad-spectrum expertise as well as niche market insights that are uniquely applicable to projects big or small, traditional or specialized. Learn more at www.msa-ps.com. For the last 30 years, Phillips Architecture has used an approach that emphasizes flexibility to help us customize our project process. Our focus remains committed to helping each client achieve their vision for each project. We take pride that over 85% of our work comes from repeat clients and that almost 90% of our clients rate us as Exceeds Expectations. See www.phillipsarch.com/. Zweig Group is the leading research, publishing, and advisory services resource for firms in the AEC industry. We have experts specialized in M&A, strategic planning, valuation, ownership transition, financial management, project management, and executive search as well as comprehensive marketing and business development services to include branding, training, and strategy for the built environment. Everything we do at Zweig Group is in pursuit of our goal to elevate the AEC industry. Empowering organizations with the resources they need – to perform better, grow, and expand their impact on the community – is at the forefront of our action. Biltmore Center for Professional Development helps our clients elevate their employee and client experience, based on time-tested best practices from over 120 years in the hospitality business. We can help you integrate the warmth, world-class service, and innovation of hospitality into the fabric of your culture to drive business results. No matter your industry, boost your employee morale and retain your clients using our unique approach. Learn more at www.biltmore.com/training. BQE Software develops innovative business management software for professional services firms. With more than 400,000 users worldwide and an impressive track record spanning over 20 years, BQE Software is trusted by leading architects, engineers, accountants, attorneys, IT specialists, and business consultants. BQE stands out among the competition because was founded by service professionals—Shafat Qazi, a civil engineer by training and Steven Burns, an architect. BQE Core®, which is a comprehensive cloud platform that allows you to run your business from one platform profitably and easily by streamlining billing, project management, time and expenses, and accounting. Core offers groundbreaking business intelligence insights, mobile app, and automations that let professionals rapidly make informed decisions, increase productivity, and focus on making work great. CX Pilots is a service design firm helping professional services companies innovate to retain more valuable relationships. Our services are designed and organized to help complex organizations better understand their clients so they can serve them more competitively. Services include: Listening Labs, Market Research, Journey Mapping, CX Roadmap development, CX Charter development, and CX Maturity Assessments. For more information, visit https://cxpilots.com/. Pixels and Ink Studio was created for both large firms and small business owners to add marketing expertise to their team, without a salary commitment and overhead associated with a full-time employee. Our experience and associated team of experts bring 15 years of experience in the B2B community, serving the A/E/C industry. Our primary clients include architects, engineers, construction consultants, residential design firms and product lines, as well as various breweries and small start-ups. All of whom are businesses who are looking for the marketing support and consultation they need – to get work done! For more information visit http://pixelsandinkstudio.com/. In 1910, C.V. York founded a construction company on his core commitment to service. Over 100 years of growth have passed, the scope of the company has broadened to include fully-integrated commercial real estate services and the stewardship to his legacy remains solid today under the fourth generation of York leadership. Our commitment to serving the needs of our clients through securing exceptional financial outcomes and serving our neighbors in the Triangle through our volunteerism and philanthropic efforts ensures the continuity of York service for the next 100 years. Increase your visibility and engage with attendees. Does your firm offer solutions to firms in professional services? 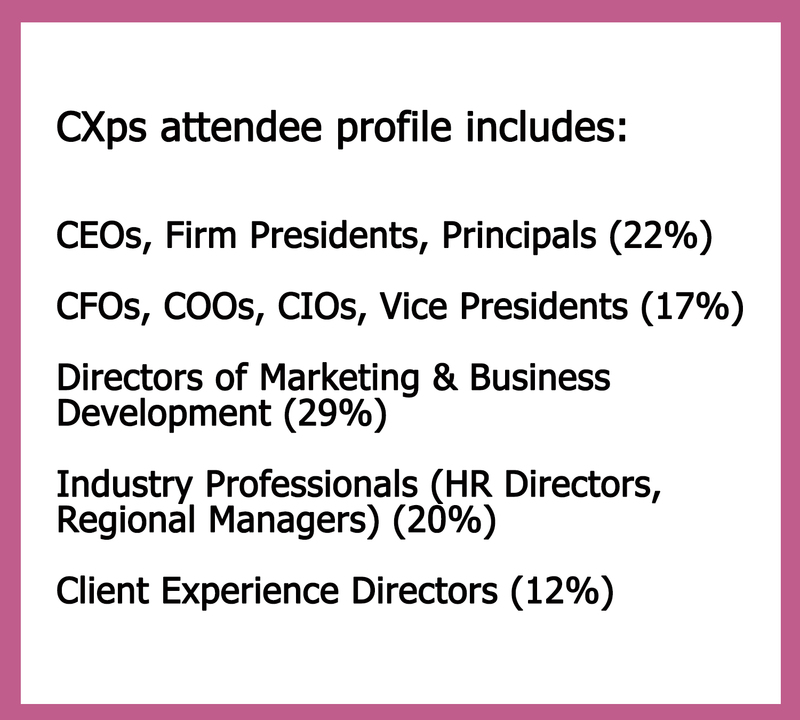 CXps 2019 offers sponsorship opportunities with tangible benefits for every budget. Strengthen your marketing and branding efforts, network and engage with innovators in the professional services industry by becoming an CXps 2019 Sponsor. Meet the right audience in the right place. Download the Sponsor Information Kit. For additional details, contact Sally Orcutt at sally@clientsavvy.com.